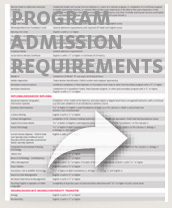 We have over 60 programs to choose from. We can help you find the right one for you. Before applying to Selkirk College you will need to know the field of study that you are interested in taking. We have a program that is right for you. With over 60 certificate, diploma and degree programs, we offer a variety of options for students just starting their post-secondary journey or returning as a mature student. Learn more about our Academic Planning and Career Planning Resources. BC Transfer Guide This guide informs students about how courses and programs transfer between colleges and universities in BC. The BC Council on Admissions and Transfer (BCCAT) is responsible for the facilitation of admission, articulation and transfer arrangements among the colleges, institutes, and universities in BC. Education Planner is an educational planning resource that provides clear, reliable and detailed information about post-secondary programs available in BC.